to make me your world. that you fall in love this much. if I want to be ready. the walls all built around me. but I am not ready. It was a lot of fun. We chatted, talked about boys (LOL) and dresses. We went there to get the perfect dress and ended up with great shoes. LOL! I guess when you're given something like this as a way of asking for forgiveness, all you can do is forgive right? I had a blast with my son today. We went to GB5, Landmark, and Glorietta. My feet are dead and aching but it was so worth it. We ate at Chilli's, had ice cream, and then drive thru at McDo. He got a new toy and I got a new stuff toy. 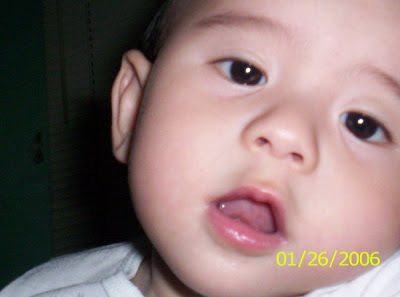 You were barely a year old in this photo ... now, you are turning 5 this July already. How time flies ... I barely turned my back and you are no longer a baby. Earlier, we were both on our laptops and you just got up and came over to hug me. I cherish moments like that. I know that sometimes I easily lose my patience with you. As you are learning, Mommy is learning too ... I am learning how to be a better Mommy and how to be there for you when you need me and not be there so that you will grow up to be independent and have your own mind. You can't be a Mama's boy though I want you to be. You are a man ... you need to have your own set of principles, and to learn to stand by your guns. I want you to be decent, God fearing, respectful of women, and forgiving. I need to teach you these things. Sometimes, I wonder ... can I? Will I be able to? It is so scary when I imagine what will happen if I fail. I cannot fail my son. It is your future that is at stake here. It is your humanity. Don't worry ... Mommy will do her best or die trying. I cannot promise to protect you from everything or everyone who will try to hurt you. Sometimes, I need to let them so that your character will be built. 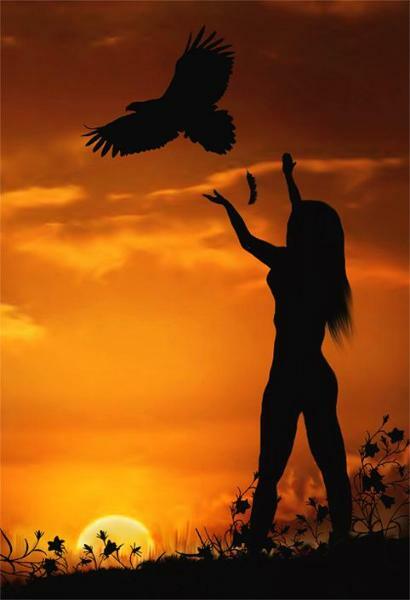 Sometimes, I need to let you fall so that you will learn how to wipe off the dirt and stand up on your own. Mommy can't always be there for you even if I would want to. I love you B ... that, I can promise, will never change. And of course, the night ended with coffee ... my Mom and I will be drinking these two sachets since its something we just came across with ... we're both coffee lovers. I loved how the afternoon went. I bonded with 2 gorgeous ladies and it was so much fun being able to treat them. Love love love! What if I held on? What if I never turned my back? What if I stayed by your side? What if I kissed you instead? What if ... what if ... what if? or a figment of my imagination? Hey theatre enthusiasts! 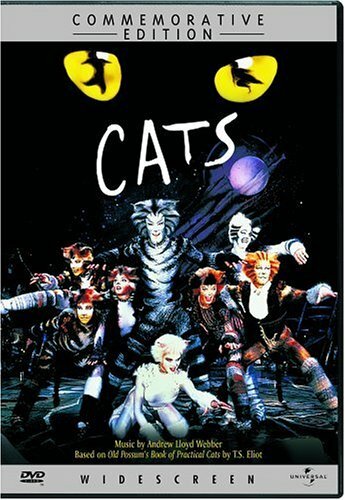 CATS is soon opening its curtains to let us in their world and the best part is our very own Lea Salonga will be performing! Here are the usual information needed. For more, click their FB page here. Ticket Prices are exclusive of Ticketworld fees. I may not have been able to spend much time with my Dad today and zero time tomorrow since I have work but I still feel happy because he liked my gift and we had time together. Happy Father's Day Daddy! I love you! I've been a meantime girl in the past so many times that I have lost count of it. I think I fit perfectly into the role of a meantime girl that guys gravitate towards me and make me one without even realizing it. I'm that girl for them ... the one they can just hang out with ... the one who listens ... the one they can make into an arm candy if needed ... the one they can pitch ideas to ... the one they would grab for coffee or a movie and know that I will probably be noisier or gobble up more drink than they could. I am that girl. The meantime one ... the one they can be with until THE ONE comes along. Then they leave. They all leave ... and since not a single one of them bothered to look back ... they never saw the tears falling down my face. One Run.One Family. 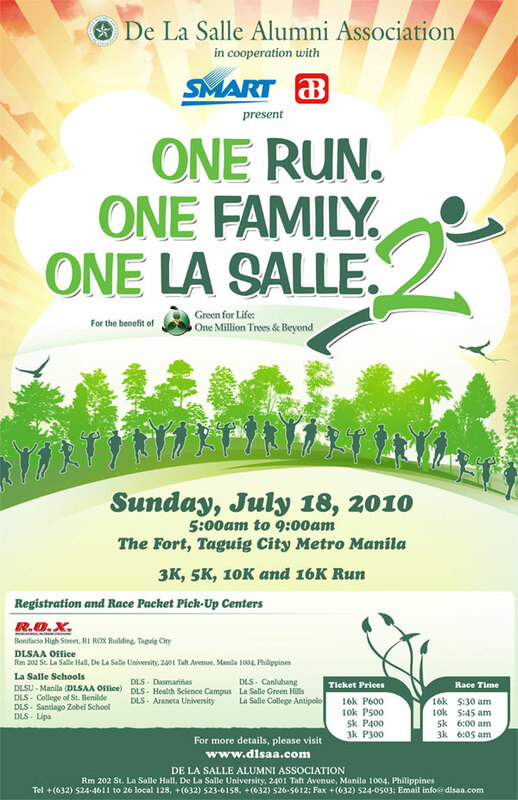 One La Salle. 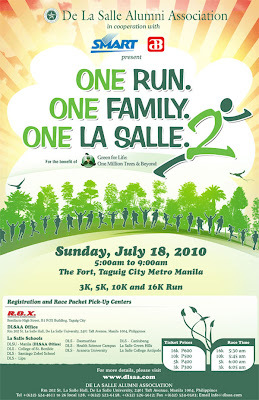 Let's all run for a cause! Today, I've totally let you go. No more pictures in my room ... no more anything to remind me of you ... and today, I've finally taken you off my list. I don't need to know what's on your mind now. I don't want to know what's happening in your life. I just don't care anymore. Today, I finally said goodbye. It was one hell of a ride I have to say. Thank you ... for teaching me these lessons I know I will forever apply in my life. You were right. I deserve a BETTER man. Way better. Thank you, for letting me go. Thank you. I am now truly ready to defy gravity. Sometimes, my baby just leaves me speechless with wonder. These are some of those moments.